This is a simple and easy to make kootu. 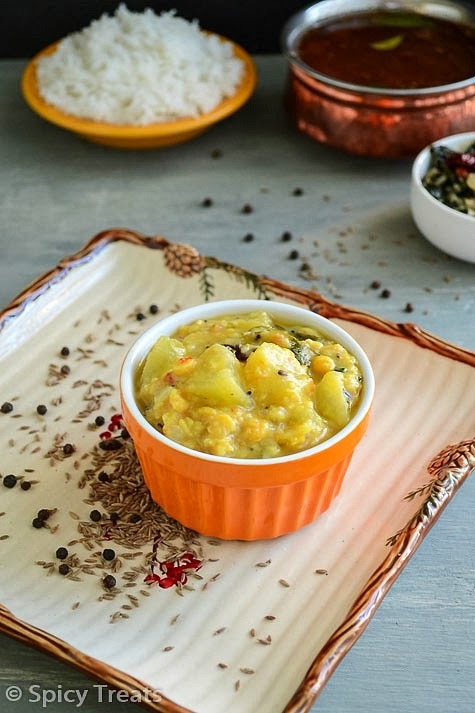 A healthy, low calorie and delicious side dish that makes a comfort meal with rice or with some warm rotis. 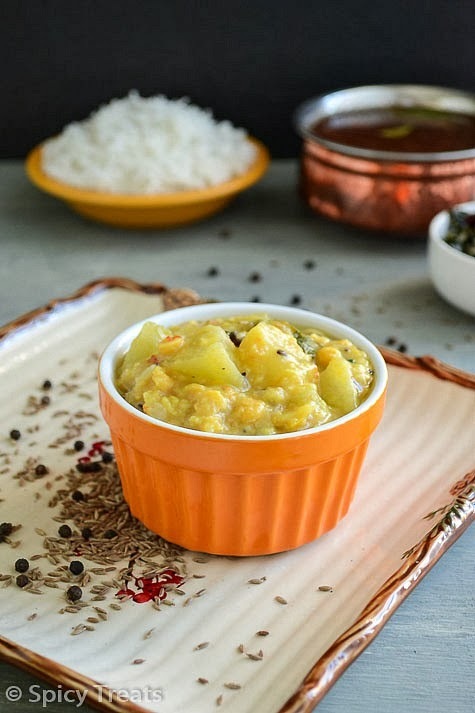 Instead of chayote you can also use any available vegetable like ash gourd, radish, bottle guord, turnip, cabbage and i did not use coconut in this recipe so its suitable for diet and diabetic people. A complete vegan healthy side dish perfect for kids also. 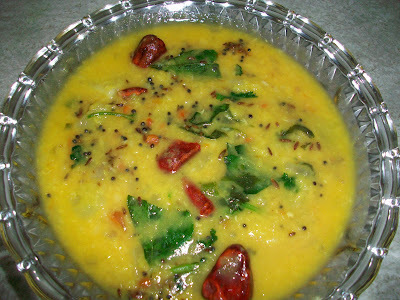 This can also be done with 2 tbsp of chana dal combo, the updated pic is made with combo of both Moongdal and chana dal. In a pressure cooker add moongdal, chana dal, onion, tomato, chayote, salt and turmeric powder. stir well and pressure cook for 2 whistles. After that switch off the stove and allow the pressure to cool down. Once done, remove the cooker lid and give a gentle mix and heat a tempering pan, add oil when its heated add the tempering ingredients one by one and fry well and add it to the kootu. That'st it...healthy n tasty chow chow kootu ready. Wash and Cook moongdal with turmeric powder and 3 cups of water. 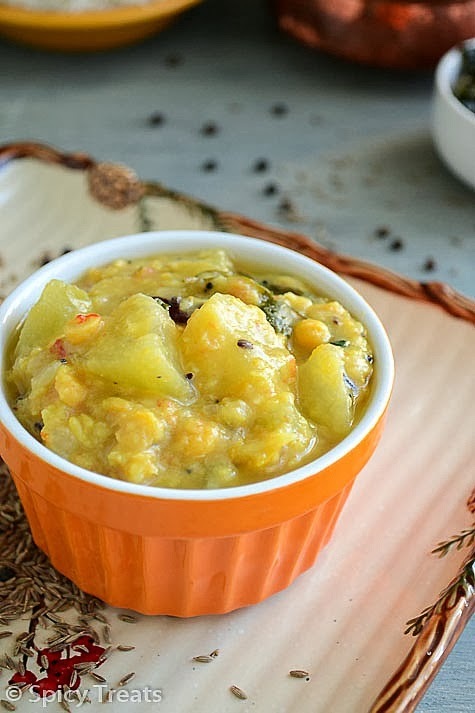 When dal is 3/4th cooked ,add chayote,chopped onion,tomato and green chillies. Add enough salt , half cup water (if needed) and stir well. Cook covered with occasional stirring. When chayote get soft and tender switch off the stove. Heat oil in a pan and add the tempering ingredients one by one ,fry well and add to the moongdal kootu. Stir well and serve hot with plain rice.